I am a blogger. I get invites to premier events and exclusive launch parties. Plus free access to the celebs. Now tell me honestly, who wouldn't want to step into my shoes. Have I rubbed it in already? Before you get all worked up, hold on to your horses while I share with you the unapparent flip side of blogging. I hardly get four hours of sleep on any given day. On days when I'm lucky, I hit the sack by 12. But those days as you can imagine are few and far between. We, bloggers, carry a huge responsibility - towards the brand who pay our bills, towards the agency who extend the invites to us, and most importantly, towards you. What would life be without you? So we burn the midnight oil in order to bring the "real deal" to YOU. I believe in ethical blogging - reporting facts and unfolding events as they happen. 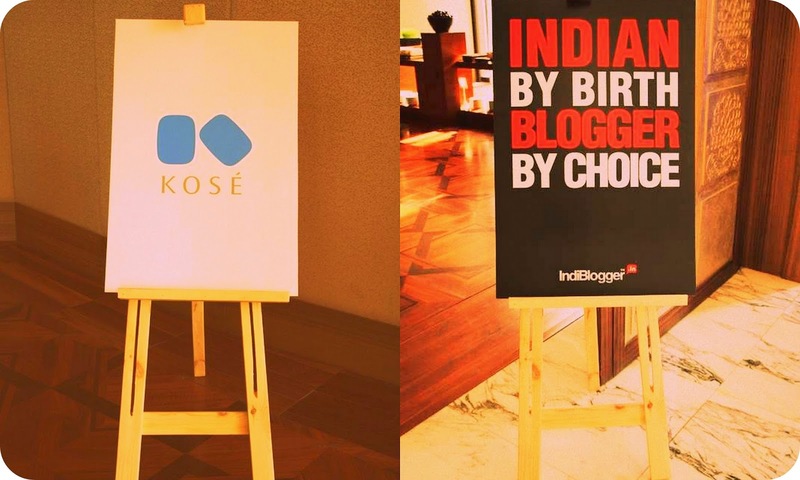 In this blog post, I'll present a firsthand account of the KOSÉ IndiBlogger Meet that took place in Delhi on Friday, April 10, 2015. 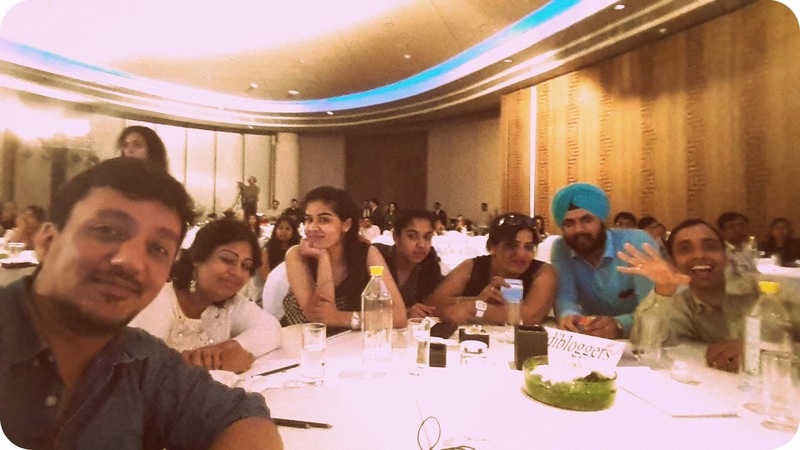 Attending back-to-back meets can be exhausting in Delhi's excruciating and unforgiving summers. But I braved all odds to make it in time for this meet. 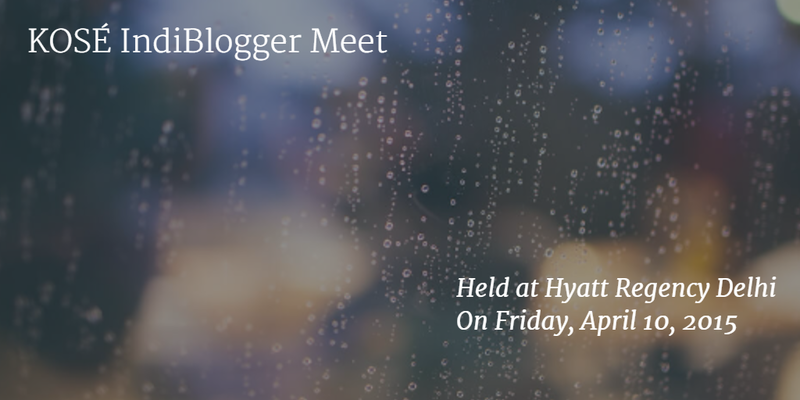 The meet took place at the plush Hyatt Regency Delhi - a luxury hotel in the heart of capital city. Me and Shwetabh were probably the first ones to reach, and while the folks from IndiBlogger were still setting the house in order, we took some time to meet and greet fellow bloggers. The KOSÉ meet was touted as a very special, invite-only evening. Out of the 160 who registered, 90% were women. Try beating that! PS: At this point, I'd like to wholeheartedly thank the folks at IndiBlogger. You guys are super awesome, as always. First few handshakes and it became evident to both me and Shwetabh that we were out of place. I blog about technology and travel (actually I write about effing everything these days) but most bloggers I met initially were either into fashion, beauty, or food. There were many new faces this time - for instance, we had a college student from Delhi University, a published author of three books who relocated from Oman, and a food critic. Want to know about them? Check out their blogs. Before the event could kick-start, hot coffee and tea were served to all attendees and it further bolstered networking opportunities. 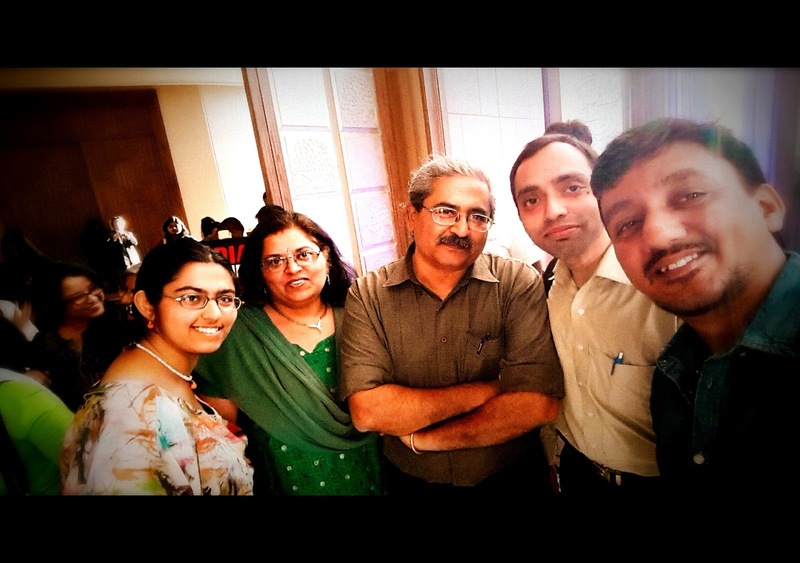 Some of us went on to exchange visiting cards, while yours truly clicked selfies with new and old friends. 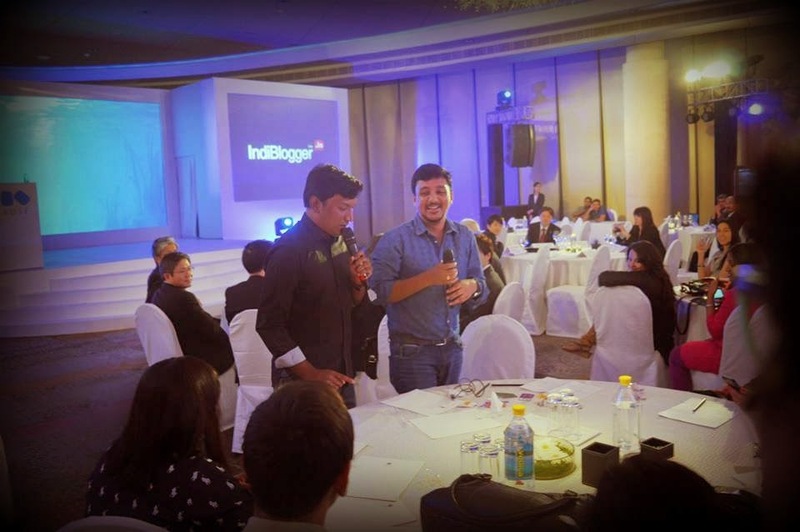 Anoop uses jokes as an icebreaker. Most oldtimers know that already; this time though he went a notch higher. "Introduce your blog in Japanese" he threw an open challenge towards the audience. I tried with little help from Google Translate, albeit unsuccessful. The Japanese guests weren't amused either (sigh!). Can You Spot My Tweet? Then Anoop played the unpredictable "number game". Several people among the audience were randomly chosen and asked to pick a number between 1 and 10. Each number was associated with a gift. A college student walked away with an INR 3000 voucher. And can you believe it was her very first meet; how cool is that! We were later asked to get our asses off the table. The idea was to meet absolute strangers at adjacent tables. While networking, you also had to exchange something personal with them. There was a catch though; you could not ask the stranger to return the item whatever the case. Anoop announced that the person who collected the maximum number of "personal" items would be declared the winner. I collected more than 20 items, which remained an unbeaten record for that evening. Among the items received was a mugshot of someone's daughter (that must've been very emotional), a pack of Digene, towel, visiting card, bank slip, toll receipt, movie ticket, foreign coin, canteen coupon, etc. Since Anoop requested me to talk about my blog, I was more than happy to oblige. Finally, the moment we had all been waiting for. It was time to know the brand, KOSÉ. Team KOSÉ made three presentations and ate up a lot of meetup time in the process. Takeshi stressed on the friendly, bilateral relations between Japan and India. 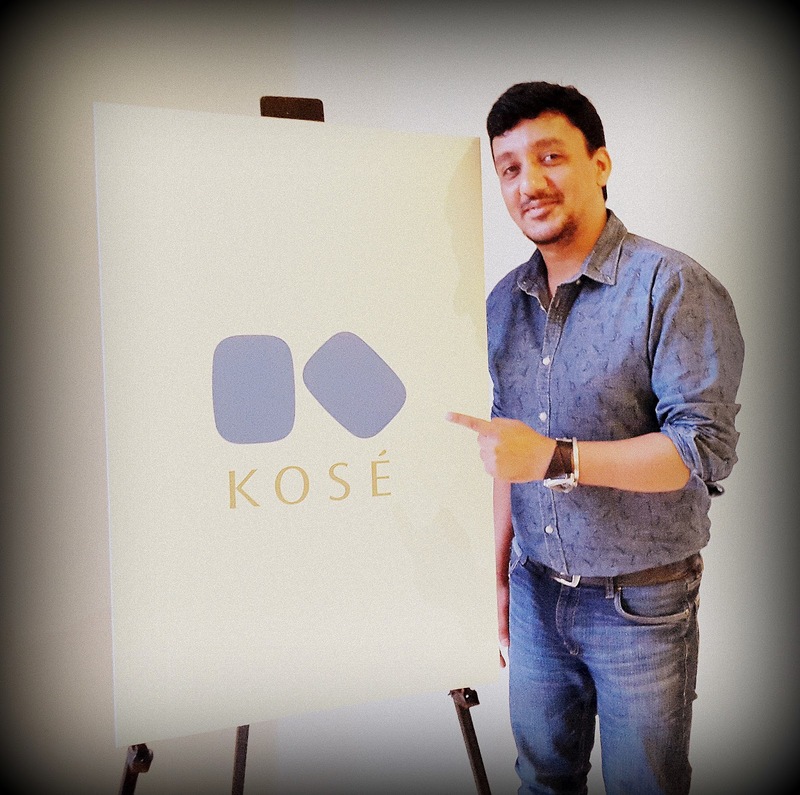 He shared that the KOSÉ Corporation was founded by Mr. Kozaburo Kobayashi in 1946 and is hailed as a leading beauty and cosmetic brand in Japan. The company engages in both manufacture as well as sale of cosmetics and applied products in and outside Japan. KOSÉ operates in 25 countries, including India, providing consumers with high-quality beauty products. 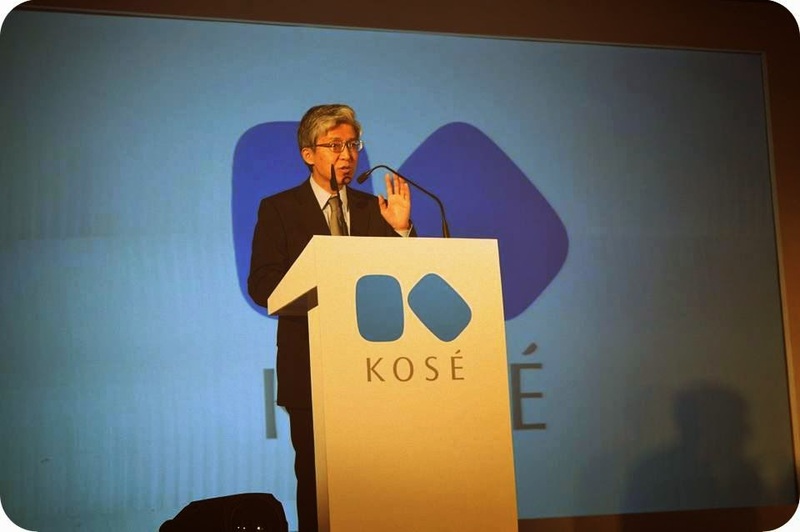 KOSÉ employees over 12000 people worldwide and owns a market cap of 450 billion Yen. 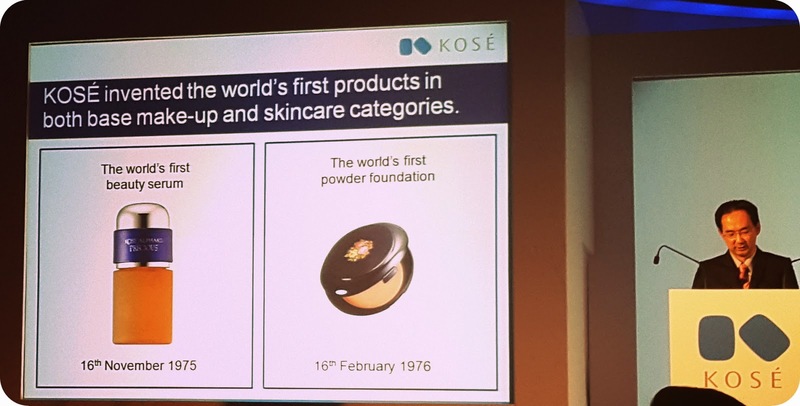 KOSÉ invented the world's first products in both make-up and skincare categories. KOSÉ owns cutting-edge research facilities with top dermatologists and PhDs. The company also owns the Deming Prize awarded manufacturing centers in the suburbs of Tokyo (Gunma and Sayama factory sites). The corporation considers India as a high potential market in the Asia Pacific region and thus wants to create a new "beauty culture" here. KOSÉ has partnered with global cosmetic companies like L'Oréal (1963), Marie Claire (1987), Maybelline (1991), Tiffany & Company (1992), Lorac (1996), Jill Stuart (2005), Rimmel (2006), Adidas Skin Protection (2010), and Tarte (2014). 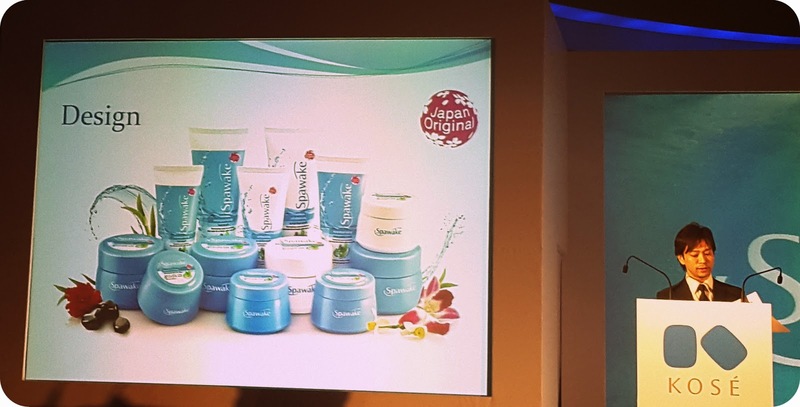 Takashi unveiled the new Spawake range of beauty products from KOSÉ. The hero product is the Moisturizing Fairness Cream for Day. The concept of these products is "refresh and revitalize your skin for a fresh, after-spa glow". 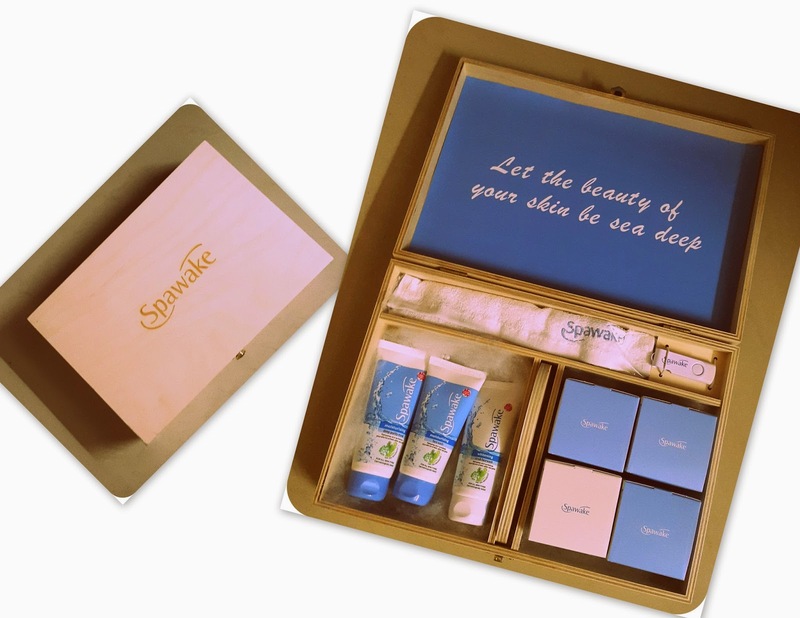 The Spawake range is made from Laminaria Japonica Extract and Sea Salt. Indulgence or Pampering: Focus on Indian women who deal with daily environmental stress. New effective ingredients: Novelty in the Indian market. 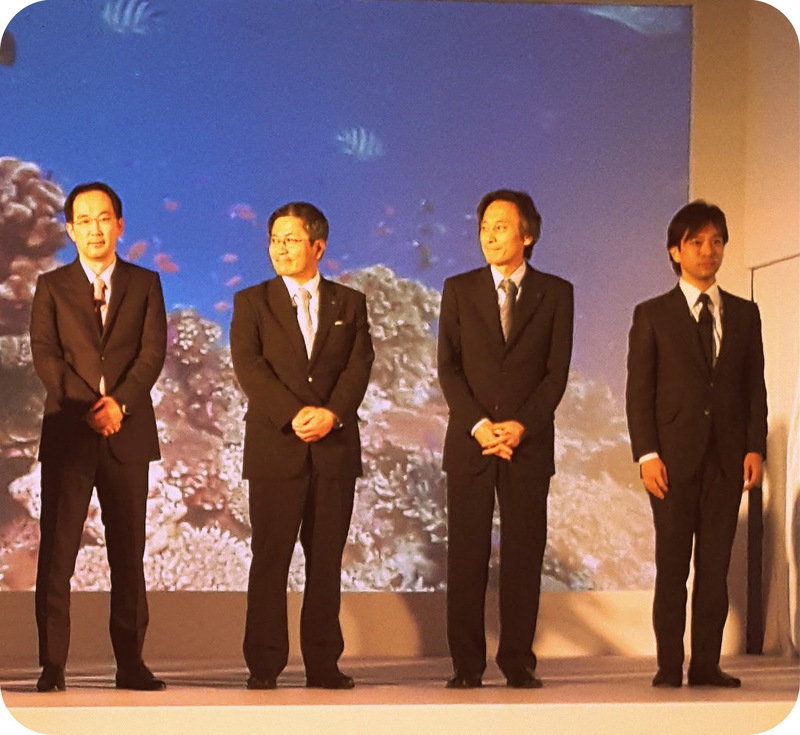 Made in India, inspired by Japan: The brand plans to move manufacturing to India. Modernity: KOSÉ plans to mix India's traditional practices with modern customs of Japan. The key differentiator for Spawake is: concept, packaging, design, fragrance, texture, and brand name. 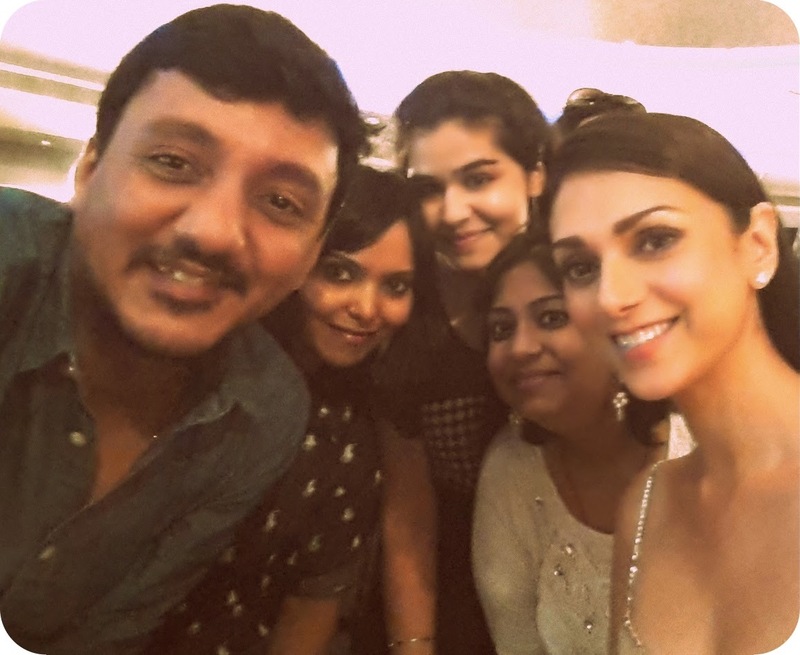 The showstopper of the evening was KOSÉ’s brand ambassador in India: Bollywood actress, Aditi Rao Hydari. 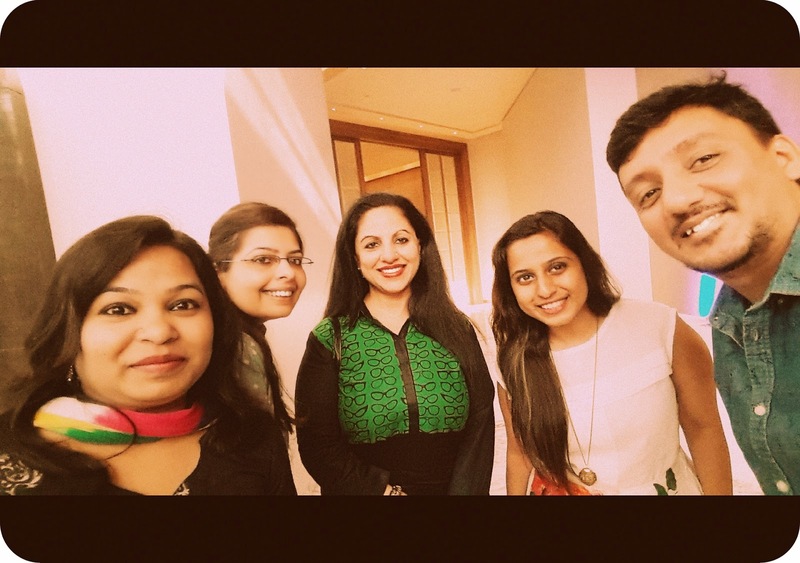 I somehow managed to click a groupie with her (she's drop-dead gorgeous to say the least!). 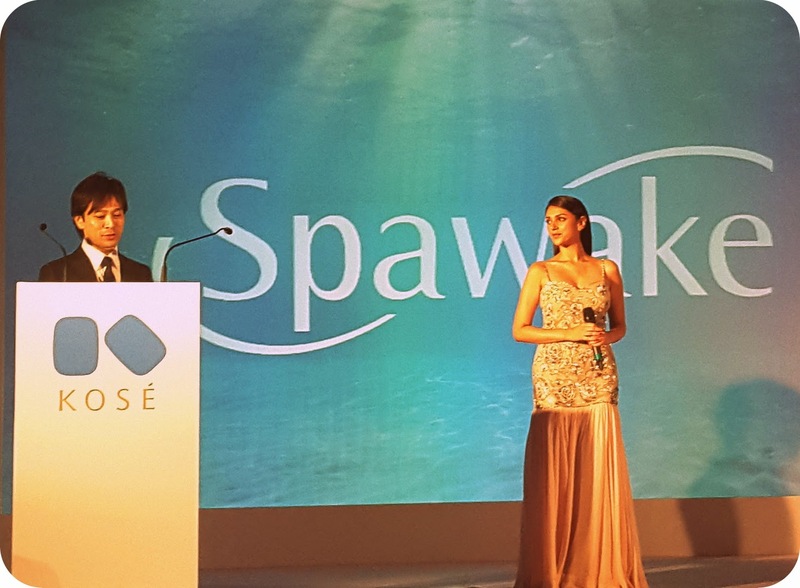 For the print campaign of Spawake, Aditi had done an underwater shoot and she made it look so easy. Is there anything Aditi cannot do? The meet ended with a sensuous dance performance by the Just Dance Company and a wonderful dinner courtesy Hyatt. And just when you thought the fun night was over, KOSÉ surprised us yet again with a beautiful gift hamper. 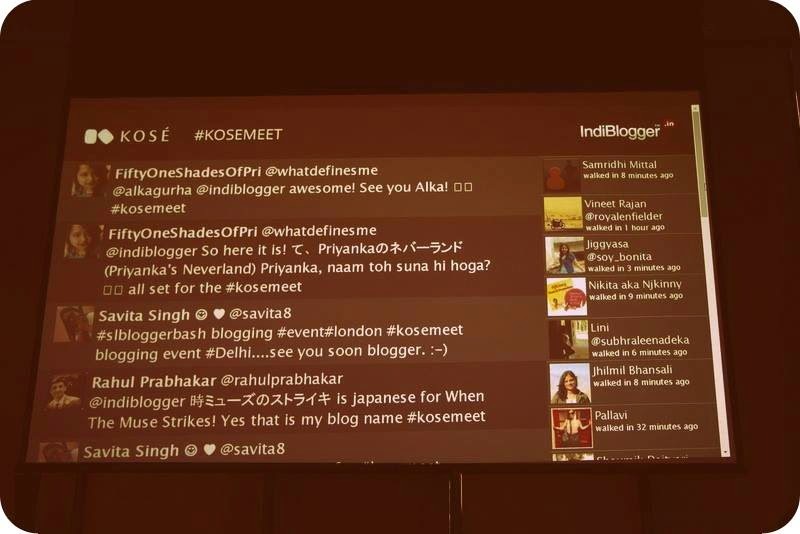 Finally, the KOSÉ IndiBlogger meet was truly an evening to remember – full of entertainment, information, and surprises. For me, beauty is and will always remain skin deep. However, I look forward to KOSÉ doing extremely well in the Indian market and wish them all the luck. quite a precise and sassy post ! capturing all the event elements !